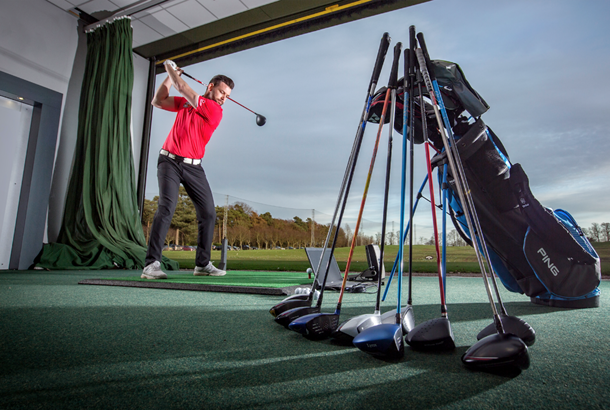 Our latest guide will help you find out 10 ways you can buy more distance, from replacing gear to using longer golf tees. We've said it a million times before, but a decent launch monitor fitting for woods or irons will add yards to your game. The data launch monitors churn out give a great indication of how your swing launches shots. Once a fitter has analysed that data he'll make recommendations on lowering spin, increasing launch, improving dispersion etc, etc. On more than one occasion we have seen golfers who haven't previously been fitted add 30+ yards. The average driver life expectancy of the average driver is five years, yet power- boosting technology like Jailbreak, Hammerhead, Turbulators and CNC milled faces simply weren't part of the driver conversation in 2013. That's not to mention improvements in shaft design. Every year tech takes a step forward, so upgrading from your five-year-old driver will offer a giant- sized leap up the performance ladder. We've seen TG readers at ball fittings who put such a demand on short game feel they give up as much as 37 yards o the tee. Nobody can afford those sorts of losses. The ball's the only piece of equipment you use for every shot, so it must bene t all areas of your game. A good ball fitter will help you make an informed decision, ensuring you get a ball that adds yards to your game but not at the expense of feel, feedback or control. TG Equipment Editor Simon Daddow saw a gain of 14 yards in carry distance switching from the latest 2018 standard drivers to draw models in our new drivers test, and he's not even a slicer. More weight in the heel means more ball speed for heel strikes, but also less side spin and more forward energy for golfers who more often than not slap shots up the right side of the golf course. Since Tiger, most Tour players now hit the gym to strengthen their core golfing muscles. Justin Rose says he's added 12-15 yards by tuning his golfing physique. Do it right and you're highly likely to shed a few pounds, get healthier and be out-gunning your playing partners in 2018. Probably the cheapest way to add yards to your game. Launch monitor data supports the idea that hitting up on a driver creates less backspin. Less backspin equals more distance. Incredibly, at an average swing speed you can add 24 yards of carry just by hitting 5° up on the ball instead of 5° down on it. Tee a driver up so at least half the ball is above the face, then visualise your swing bottoming out before hitting the ball. Hitting a 7-iron as far as a playing partner's six never fails to give a warm feeling inside. So we shouldn't be surprised brands specifically target golfers who crave distance by turning a 7-iron into a six by cranking up the loft. Callaway say they've unashamedly gone after distance with the new incredibly strong-lofted Rogue X irons. But the real beauty is how they still y as high as a standard iron, so shots still stop on the green. They're di cult to resist if you try them on a launch monitor. It's simple physics; lighter is faster, especially if your swing speed happens to be below average. Wilson's D300 range strips weight out of every component to help you max out speed. Ping use a slightly heavier head weight, but lighter overall swing weight in the G400 SFT driver, and Cobra have a lightweight F-Max range aimed at optimising carry at lower swing speeds. A golf swing is built from the ground up. And you really can lose traction by wearing shoes with old worn-out spikes. Modern, performance shoes come with wider foundations, extra stability enhancing tech and more traction lugs than an average car tyre. Puma's new PWRAdapt shoes have soles and cleats specifically designed to improve grip no matter how irregular the surface conditions, as do Under Armour's new Spieth 2s. OK, perhaps this should be at the top of this list. But for many golfers, hours of practice ingraining what they've been taught just isn't an option. If you do have the time to practise, lessons are a sure-fire way to add yards.